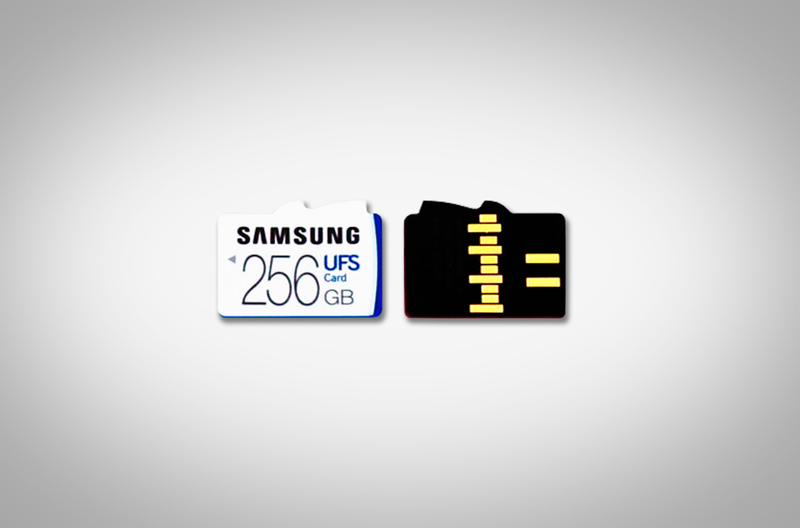 This morning, Samsung announced that it has taken expandable storage to a ridiculously fast level. Their new removable memory cards are more than five times faster than the typical microSD cards you probably have in your phones now. Read that again: five times. The new cards are build on the Universal Flash Storage (UFS) 1.0 standard, which means read speeds of up to 530MB/s and write speeds of 170MB/s. The current crop of fast microSD cards that we all own are built on the UHS standard and mostly top out around the 95MB/s read mark. That’s nuts! The point of these cards is to have a storage solution that can keep up with our increasingly HD world filled with 4K video files and high-end games. Samsung says that a 5GB full HD movie can be read on one of these new UFS cards in just 5 seconds, while a standard UHS card would take over 50 seconds to complete a similar task. Samsung expects these to be a hit in devices like DSLRs, 3D VR cameras, action cams, and drones. But hey, they might be awesome in your (future) high-end Galaxy device as well. 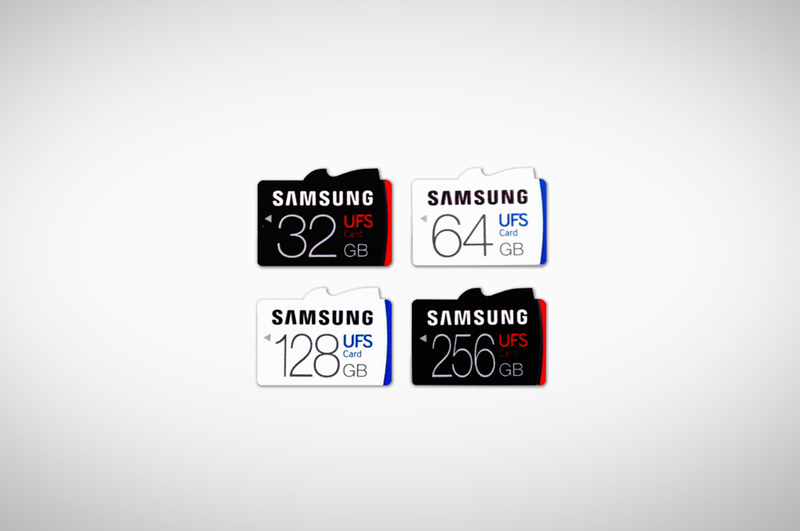 Samsung is simply calling these their UFS cards and they come in 256GB, 128GB, 64GB, and 32GB sizes. Samsung has not said when to expect these cards or how much they will cost. Still, we all want one, right? EDIT: The original post called them microSD cards, when in fact, they are just “removable memory cards” that may be slightly different than a microSD card. Sorry for the confusion.